ITALY : Something to see around every corner. 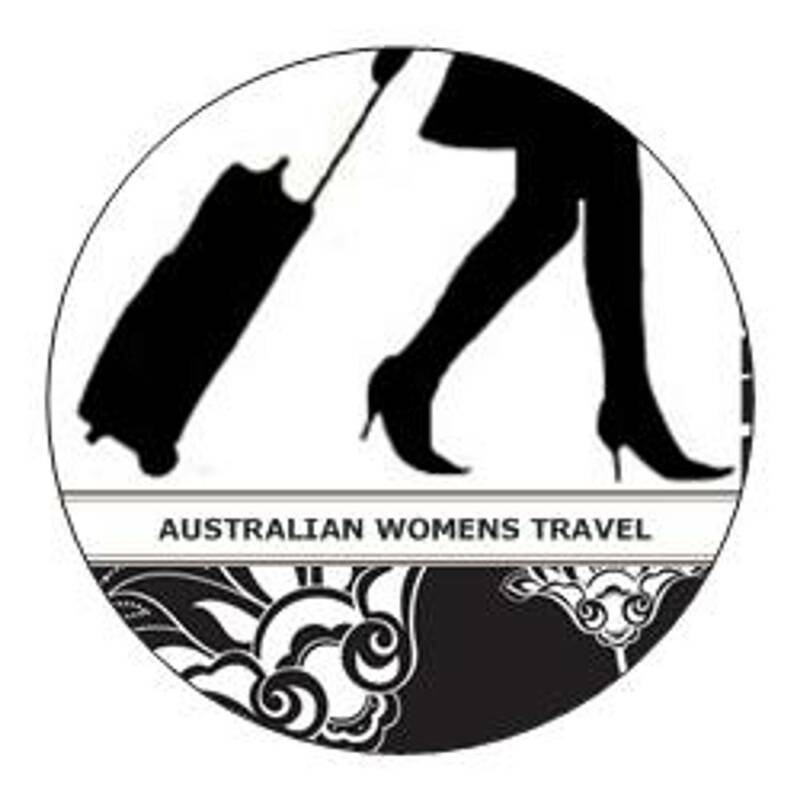 Join me for a tour that is womens travel at its best ! Italy, one of the best travel destinations on the planet. Italy has it all ! Great history, culture, art, food, wine, fashion, coffee, style, character filled villages, hill towns, beaches, mountains and lakes. You will love every minute of our tour ! 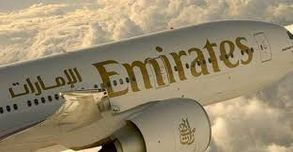 Today we depart Australia (your nearest capital city) on our wonderful Emirates Airline flight to Rome to start our amazing tour. 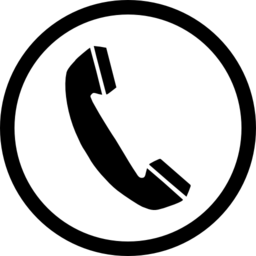 Included: Return Airfare Emirates Airlines. 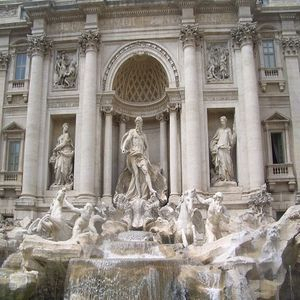 Arrive in Rome the eternal city this afternoon and take your private transfer to our hotel. After check in take a couple of hours to rest. Later in the afternoon we will taxi to the fascinating area of Trastevere where will wander the tiny streets and back alleys of this old and interesting area. Try the best Pizza in Rome! Included: Private transfer from the airport to hotel (with group), Orientation / St Peters Square / Taxi to and from Trastevere (with group) / Orientation Trastevere / Accommodation. Not included: Lunch, dinner, refreshments and items of a personal nature etc. There is time this morning for you to visit St Peters Basilica if you choose (5 minutes from our hotel). (Also an option for an early morning visit to the Sistine Chapel). Visit iconic sights like the Trevi Fountain, Spanish Steps and the Pantheon. A wander past the place Gregory Peck’s character lived in the movie Roman Holiday. Explore small cobbled streets, beautiful Piazzas and fantastic shops. End the day in the famous Piazza Navona. Enjoy an evening walk home and be awed by the illuminated Castel St Angelo and the Vatican lit at night, reflecting in the Tiber. Included: Breakfast / Entrance to St Peters Basilica (free) / Taxi to day out (with group) / Full day orientation of iconic sites of Rome and Accommodation. Not included: Lunch, dinner, refreshments and items of a personal nature etc, Early morning visit to the Sistine Chapel . Today we will follow the footsteps of the ancient Romans. Visit Campo dei Fiore, Rome’s liveliest market. Peek into some magnificent Baroque Churches. Visit the Colosseum, the largest amphitheatre of the Roman Empire and take time to explore. Visit the ruins of the Roman Forum, from which the Caesars ruled their vast empire. Soak up over 2,000 years of history in Arch of Constantine, the Arch of Titus and the Temple of Venus and Roma. Included: Breakfast/Taxi to Campo dei Fiori (with group) / Full day orientation in Rome /pre-purchased tickets to visit the Colosseum and Roman Forum / Taxi home from Piazza Venezia (with group) / Accommodation. Today we will travel to Sorrento in the south of Italy, stopping on route at Pompeii. Visit Pompeii and explore insights into life here nearly 2,000 years ago. View the excavated Roman ruins of theatres, villas, temples and baths. Spend the evening in beautiful Sorrento. Included: Breakfast/ Full day travel with private driver and van/ Entrance tickets and orientation of Pompeii and Accommodation. Time to relax or explore. Explore Sorrento's glamorous shops and cafes. Soak up the charming atmosphere. On this day trip from Sorrento, set off to the beautiful Mediterranean island of Capri, known for its colorful harbours, whitewashed lanes, chic boutiques and hilltop views over the Gulf of Naples. Ride a jet boat to the island and dock to explore the towns of Anacapri and Capri, whose highlights include Villa San Michele, the Faraglioni rock formations and the Blue Grotto. Combine walking tours with free time to explore at your own pace. Any entrance fees are at your own expense. Not included: Lunch, dinner, refreshments, items of a personal nature etc. and the Optional Capri excursion. Today we travel though the countryside of Umbria, enjoying the vistas on the way to our destination. On route we will visit the magnificent Unesco heritage Gardens of Villa d'Este, in Tivoli. Orvieto is one of the most striking, memorable and enjoyable hill towns in central Italy. Delightful, perfectly preserved and virtually traffic-free world. Explore this pristine hill town. Visit the famous Orvieto Cathedral. 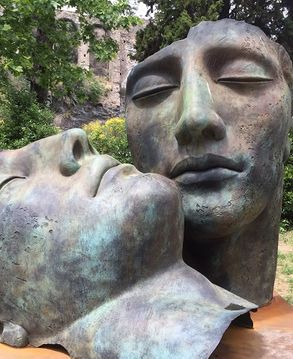 Included: Breakfast / Transfer from Sorrento to Orvieto with private driver and van / visit to the cathedral / Accommodation and Entrance to Villa d'Este Gardens in Tivoli. 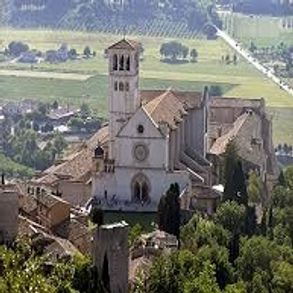 Today we will visit the Unesco heritage hillside town of Assisi. We travel through the beauty of Umbria to the UNESCO heritage site if the hillside town of Assisi, the birthplace of St Francis. Explore the hillside town of Assisi, perched on the steep slopes of Monte Subasio. Experience the beautifully fresco-ed Basilica of St Francis. Wander though and (wonder at) this charming town and surrounding hills. Discover the Minerva Temple with its 1st century ancient colonnaded facade. Included: Breakfast / Transfer from Orvieto to Assisi return with private van and driver / Orientation Assisi / Visit to the Basilica of St. Francis and the Minerva Temple and Accommodation. Today we travel to Tuscany and to the medieval town of Siena. Explore the town filled with wonders to enjoy, small medieval streets, splendid palaces and piazzas. Visit the famous ‘Cathedral in Pyjamas’. Watch the sun go down with an aperitif in the extraordinary main Piazza Il Campo, home of the famous ‘Palio’. Learn about Siena’s fascinating Contrade and revel in the colourful neighbourhoods. Enjoy Italy’s finest Gothic architecture and understand how the paint colour ‘Burnt Siena’ gets its name. Included: Breakfast / Transfer to Siena with private van and driver / Orientation Siena / Entrance ticket to Siena Cathedral and Accommodation. Today we embrace the medieval charms of Tuscany's hill towns on a full-day exploration of the area from Siena. 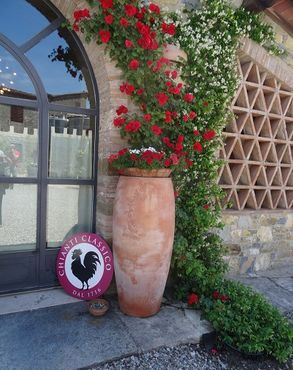 Enjoy the beautiful scenery in the Chianti Classico in Tuscany. Visit a medieval monastery with its hidden garden. Enjoy a farm lunch cooked just for us. Included: Breakfast / Full day exploring Chianti Classico Tuscany with private van and driver / Farm lunch in Tuscany with wine and Accommodation. Not included: Dinner, refreshments and items of a personal nature etc. This morning we travel through the beautiful Tuscan countryside to Florence. Visit the legendary Florence Cathedral, known as the Duomo. Pass Giotto’s Campanile, a masterpiece of Gothic architecture. Explore the fascinating streets that Michelangelo walked. Visit the spectacular Piazza della Signoria, centre of Florentine life. Visit the National Museum of the Bargello filled with treasures. Enjoy free time to continue exploring Florence on your own. Enjoy an Italian cooking course with dinner and wine. 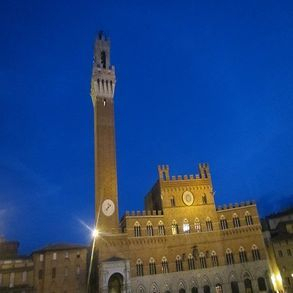 Included: Breakfast / Transfer Siena to Florence with private van and driver visit to the Duomo (free) / Orientation Florence / Entrance ticket Museum of the Bargello / Italian cooking course with dinner & wine and Accommodation. Not included: Lunch, refreshments, & items of a personal nature etc. Today we visit Florence’s best. Immerse yourself in the best of Italian art at the Uffizi Gallery. 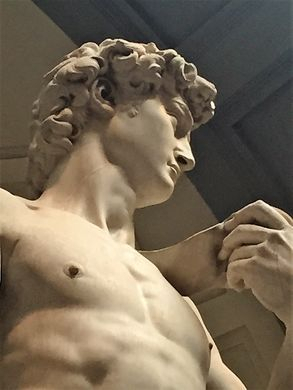 Visit the spectacular and memorable Michelangelo’s David. See the medieval Ponte Vecchio. Take in the unique Italian culture of Florence. Visit the Florence market, dripping with leather goods. Free time to wander and explore. Included: Breakfast / Pre-purchased tickets to the Uffizi Gallery and Michelangelo's David / Visit to the Florence Leather Market and Accommodation. Today we arrive at lovely Lucca, hidden behind imposing Renaissance walls, on the way stopping to view the Leaning tower of Pisa. 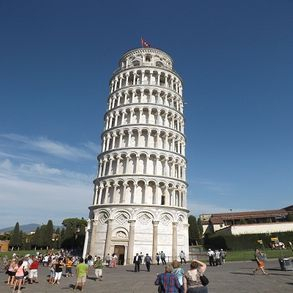 Visit the ‘Field of Miracles’ in Pisa and marvel at the Leaning Tower. Explore the cobbled streets, handsome piazzas and shady promenades of Lucca. Try the local Tuscan cake Buccelato di Lucca at the famous bakery Pasticceria Taddeucci. 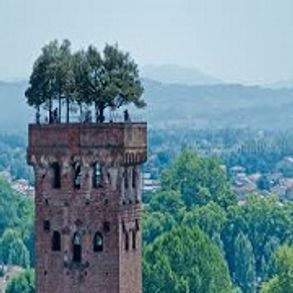 Included: Breakfast / Transfer to Lucca (via Pisa) with private van and driver / Visit to the Field of Miracles to see the Leaning Tower of Pisa and Accommodation. 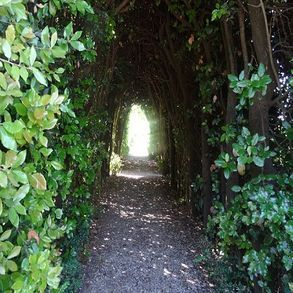 Start with a walk along the old city walls, from the panoramic walkway overlooking Lucca city. Discover secret passages, hideaways and ramparts. Free time to wander, shop and explore. Included: Breakfast / Orientation Lucca / Accommodation. Today we head to the beautiful Cinque Terre to begin your Mediterranean holiday. Once we arrive and get orientated you can choose to. Explore the old town of Monterosso al Mare. Rest and relax on our hotels private Bagno (Beach) with the clear blue Mediterranean lapping gently on the shore. We will enjoy aperitifs at out hotels tables on the seafront and enjoy dinner at a beach side restaurant. 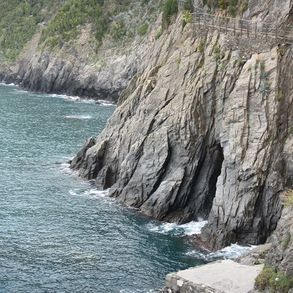 Included: Breakfast / Transfer Lucca to Monerosso al Mare (Cinque Terre) with private van and driver and Accommodation. Not included: Lunch, dinner, refreshments, items of a personal nature etc. and free use of hotel beach. The Cinque Terre consists of 5 small towns in one of the most uncontaminated areas in the Mediterranean Sea. Take a ferry across crystal clear waters to visit the cliff hanging villages. Maybe you might like to hike between towns, your choice? Be awed by the villages suspended on sheer cliffs upon the beautiful sea. Wander and explore the tiny lanes and alleyways of these gorgeous villages. Enjoy a coffee or read a book on the seafront of a tiny village. Or spend the day at a Mediterranean beach. 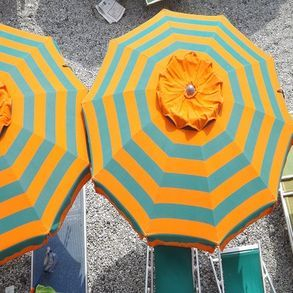 Included: Breakfast / Free use of hotel beach and beach towel / 1 return fare for ferry, which runs between Cinque Terre towns and Accommodation. Not included: Lunch, dinner, refreshments, items of a personal nature etc. and hiking or train pass. Our stay in enchanting Varenna in Lake Como known as the 'diamond of the lake' is our home for two nights. Enjoy the unbelievable peace, serenity and beauty of Lake Como. Walk along the lakeside 'passerella', no wonder this has been the haunt of kings and celebrities, since ancient times. Explore the lakeside, picture perfect village of Varenna, with its tiny alleyways and hidden spots to explore. 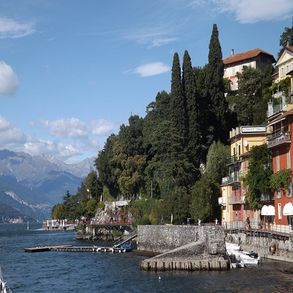 Included: Breakfast / Transfer from Monterosso al Mare to Varenna (Lake Como), with private van and driver) / Orientation Varenna and Accommodation. Today we visit the 'Pearl of the lake' Bellagio, keep a lookout for George! Enjoy a ferry ride across the lake to and from Bellagio. Immerse yourself in the pristine beauty of Bellagio. Great views, amazing shopping, fantastic alleyways and hidden corners. 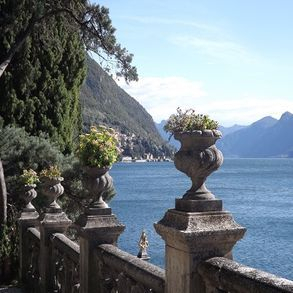 Afternoon visit to Villa Monastero gardens on Lake Como, heavenly. Treat yourself to coffee or a drink with perfect lake and mountain views. Included: Breakfast / Return free ticket Varenna to Bellagio / Orientation Bellagio / Entrance ticket to Villa Monastero gardens and Accommodation. Today we will travel though Italy to the town of Romeo and Juliet, Verona. We will wander explore and enjoy the many streets, with their medieval buildings and towers, including Piazza Erbe and Piazza Bra. See the extraordinary original Roman Arena. 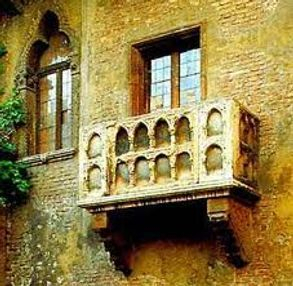 'Romeo, where for art thou Romeo’, lets visit Juliet's famous balcony. Walk across the famous Castelvecchio Bridge. 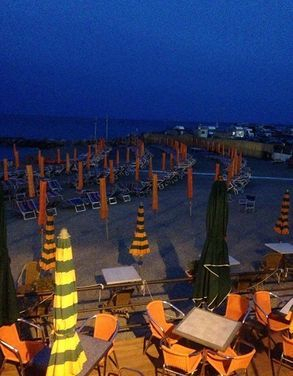 Join the locals for the evening 'passiegata'. Enjoy stunning shop displays of Italian labels on Verona's ' Golden Mile’, Via Mazzini. Or go shopping, Verona has the most incredible fashion forward shops! Included: Breakfast / Transfer from Varenna (Lake Como) to Verona with private van and driver / Orientation Verona / Visit Juliet's balcony and Accommodation. This morning we will travel to Venice. Perhaps no other city in the world has inspired the many superlatives heaped upon it, by writers and travellers through the centuries. 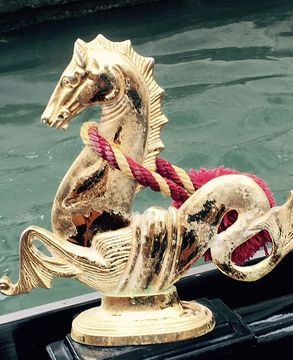 Enjoy a private water taxi ride along the Grande Canal, ala Angelina Jolie style! Enter St Marks Basilica and explore iconic St Mark’s Square. View the Doges Palace, built in Venetian Gothic style in 1340. Explore tiny alleyways and be in awe of all that Venetian glass. Enjoy a 35-minute Gondola ride through the back canals of Venice. Enjoys dinners and aperitifs canal side. Included: Breakfast / Transfer Verona to Venice with private van and driver / Water taxi ride along the Grand Canal from Ferrovia to St Mark’s Square (with group) / Visit to St Marks Basilica (free) / Orientation Venice / A 35-minute Gondola ride (with group) and Accommodation. Not included: Lunch, dinner, refreshments, items of a personal nature etc. and Porter fee from Piazzale Roma to hotel (not compulsory). This morning we get off the beaten track and explore the quiet back streets of Venice. Enjoy getting away from the tourists, wandering over quiet bridges and canals. Explore the old Jewish Ghetto area of Venice filled with fascination. 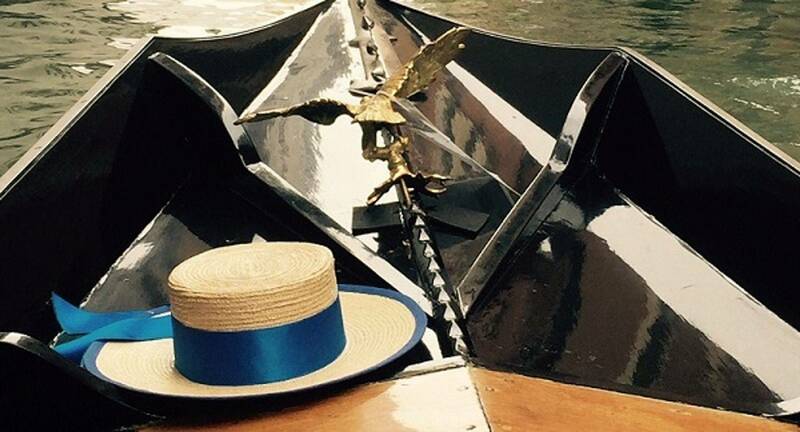 Enjoy a free afternoon to explore, shop or just sit canal side and enjoys the joys of Venice. Included: Breakfast / Orientation old Jewish Ghetto and the quiet backstreets of Venice and Accommodation. Today we transfer to Venice Airport for our flight home. Included: Transfer Venice to Venice Airport (with group) / Flight to Australia and Breakfast. *Please note travellers from Adelaide may not retur back until the morning of June 5, owing to flight schedules. Travel insurance is mandatory to join this tour.